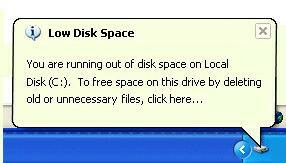 When Windows warns you that you are running out of disk space, it can be rather annoying. Especially, if you are a computer science student, you need to install heavy softwares, such as Microsoft Visual Studio, Dream Weaver, Photoshop, Dev C++, Coral Draw, local server, virtual machine, and many more. These softwares occupy large disk space. The C drive is the storage of temporary data, where the local files of all softwares save automatically. Hence, soon, your C drive is full and you cannot install a new software any more. Sometimes, you want to install a second operating system, such as Ubuntu, but your drive space does not allow you. Also, the performance of your PC is affected when there is little space. 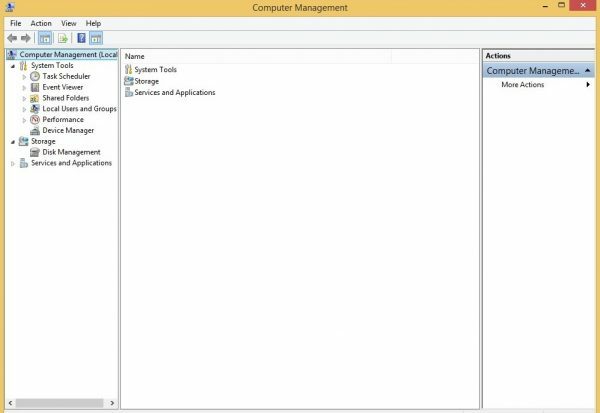 Find the option “Manage” on right clicking the ‘My Computer’ or ‘This PC’ icon. Click on the Disk Management, which is the subhead of “storage”. Now, right click on the unused drive, where you think, there are no data. But if it is not completely free, move its data to some other drive and free it. Click on “Delete Volume”. 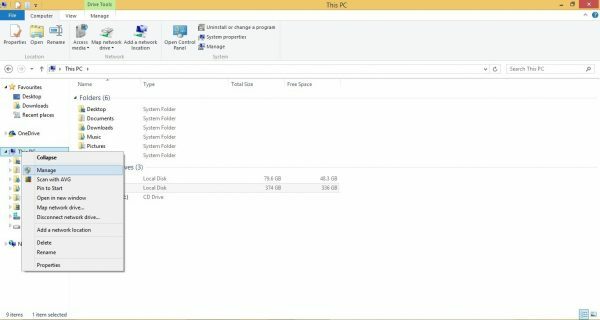 That partition will delete from your system. This is the step, in which you can extend your C drive. Right click on it and select “Extend Volume”. Click “Next”. 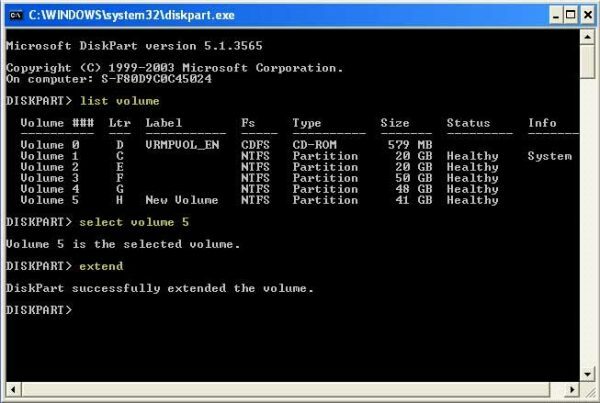 Lastly, mention the size of the system partition and then, click “Next”. Click “Finish” and you are done. Note: Before you make a partition of your drives, consider having a backup of all necessary files, so that you might not lose it, afterwards. First of all, install EaseUs partition tool and launch it. After that, right click your D drive and hit the option of “Resize/Move Partition”, as you see in the image. 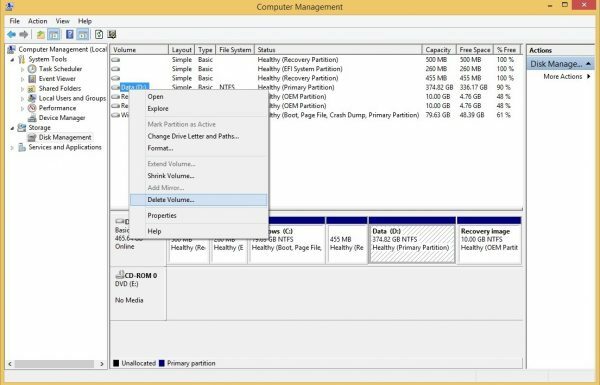 Now, you will see the partition size. Position your pointer on it and resize it by dragging the handle rightward. It will extend the C drive (system partition). Now, click apply and see the changes. Note: if the unallocated space is leftward, you have to drag the handle leftward to resize it. You can also extend NTFS. It is a system partition for which you do not require a reboot. You will see a list of the present volumes on the disk, you select. 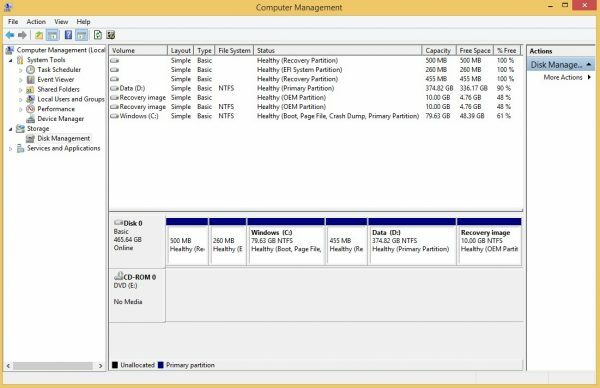 Solutions 1 and 3 work only in case of unallocated space in disk partitions. If there is no space available on your actual hard drive, you can try solution 2. You can also use this software to convert FAT 32 in Win XP and Win Vista. Next story How to Transfer Large Files between Two Android Devices Quickly?